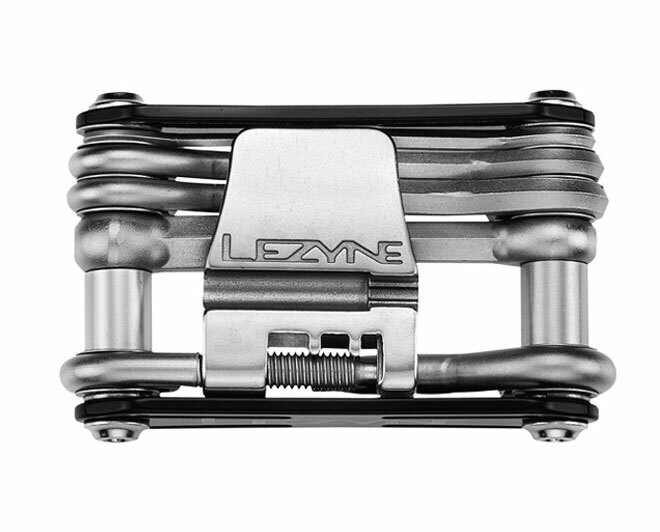 Lezyne RAP Tools are functional, entry-level multi-tools. 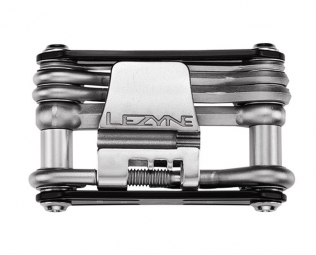 Their stamped aluminum side plates are lightweight and low profile. 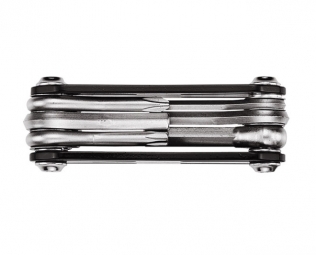 The forged and drawn CrV bits are nickel plated for durability. Wrapped Center Pivot bits increase tool rigidity and improve ergonomics. 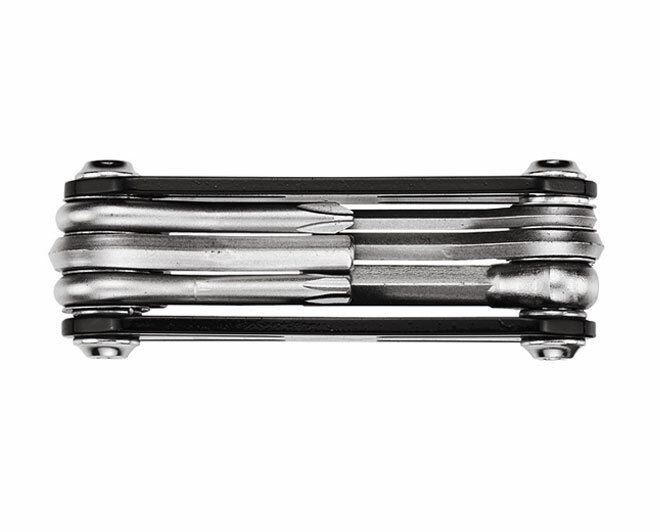 Cast steel chain breaker works with 9/10/11 speed chains and has 3 integrated spoke wrenches.